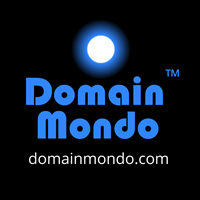 Domain Mondo | domainmondo.com: News Review | Should the IANA Stewardship Transition Be Unwound? News Review | Should the IANA Stewardship Transition Be Unwound? Domain Mondo's weekly internet domain news review (NR 2018-06-10) with analysis and opinion: Features • 1) Should the IANA Stewardship Transition Be Unwound? 2) ICANN news: a. Reason #1 Why ICANN's new gTLDs are failing, b. GDPR Effects at ICANN, c. Pre-ICANN62 Webinars & Reports and more, 3) Names, Domains & Trademarks, 4) ICYMI, 5) Most Read Posts. UPDATE: Should the IANA Stewardship Transition Be Unwound? Deadline to respond to the NTIA notice of inquiry (pdf) has been extended to July 17, 2018, 5:00 pm EDT (more information in the original post further below). "LOS ANGELES – 13 June 2018 – The Internet Corporation for Assigned Names and Numbers (ICANN) today appealed a decision by the Regional Court in Bonn, Germany not to issue an injunction in proceedings that ICANN initiated against EPAG, a Germany-based, ICANN-accredited registrar that is part of the Tucows Group. The appeal was filed to the Higher Regional Court of Cologne, Germany. ICANN is asking the Higher Regional Court to issue an injunction that would require EPAG to reinstate the collection of all WHOIS data required under EPAG’s Registrar Accreditation Agreement with ICANN. The Regional Court in Bonn rejected ICANN’s initial application for an injunction, in which ICANN sought to require EPAG to collect administrative contact and technical contact data for new domain name registrations. If the Higher Regional Court does not agree with ICANN or is not clear about the scope of the European Union’s General Data Protection Regulation (GDPR), ICANN is also asking the Higher Regional Court to refer the issues in ICANN’s appeal to the European Court of Justice. ICANN is appealing the 30 May 2018 decision by the Regional Court in Bonn as part of ICANN’s public interest role in coordinating a decentralized global WHOIS for the generic top-level domain system. “We are continuing to seek clarity of how to maintain a global WHOIS system and still remain consistent with legal requirements under the GDPR,” said John Jeffrey, ICANN’s General Counsel and Secretary. “We hope that the Court will issue the injunction or the matter will be considered by the European Court of Justice.”..."
Background of previous proceedings and the Court ruling appealed from in this case--News Review | GDPR Effect: ICANN Sues German Domain Name Registrar. 1) Should the IANA Stewardship Transition Be Unwound? Editor's note: Less than 2 years after the IANA transition was completed on October 1, 2016, the U.S. government's NTIA is asking stakeholders a number questions, including, "Should the IANA Stewardship Transition be unwound? If yes, why and how? If not, why not?" This is in stark contrast to the NTIA under Larry Strickling (Obama administration) which never solicited stakeholders' opinions before abruptly announcing its IANA transition intentions in March, 2014. European governments have decided that they will use their collective power as the EU [European Union] to force changes on how the internet functions. "The [ICANN] organization has repeatedly been taken to task for its actions through the mechanism that was designed to keep it accountable: an "independent review panel" or IRP. Yet despite several striking decisions made against ICANN by that panel little or nothing has changed. Among the things that have come out in recent years are: that its own staff repeatedly interfered in independent processes; that it broke its own rules and bylaws to reach a pre-decided conclusion; that it secretly rewrote reports and then lied about it; that staff misled its own board and then claimed otherwise; that its board members lied about looking into allegations; that it hid millions of dollars of payment to Washington lobbyists; and many, many more. For those that have heard of it, the [ICANN] organization has become a shorthand for dysfunction and unaccountable power. It is the internet's FIFA scandal ... what will become of Whois, ICANN and the US-led internet? We should know in the next year ..."
NTIA Looks to Stakeholders to Help Shape its International Agenda | National Telecommunications and Information Administration | ntia.doc.gov: June 04, 2018 by David J. Redl, Assistant Secretary for Communications and Information and NTIA Administrator--"... In a notice of inquiry, we are asking all interested stakeholders – businesses, civil society groups, the technical community, academics, and the general public to provide us with comments and recommendations. The input we receive will inform NTIA's international Internet policy priorities going forward ..."
A. Does the multistakeholder approach continue to support an environment for the internet to grow and thrive? If so, why? If not, why not? B. Are there public policy areas in which the multistakeholder approach works best? If yes, what are those areas and why? Are there areas in which the multistakeholder approach does not work effectively? If there are, what are those areas and why? C. Are the existing accountability structures within multistakeholder internet governance sufficient? If not, why not? What improvements can be made? D. Should the IANA Stewardship Transition be unwound? If yes, why and how? If not, why not? E. What should be NTIA’s priorities within ICANN and the GAC? F. Are there any other DNS related activities NTIA should pursue? If yes, please describe ...."
"Recognizing the vital importance of the Internet and digital communications to U.S. innovation, prosperity, education, and civic and cultural life, NTIA has made it a top priority to encourage growth and innovation for the Internet and Internet-enabled economy. Towards that end, NTIA is seeking comments and recommendations from all interested stakeholders on its international Internet policy priorities for 2018 and beyond. These comments will help inform NTIA to identify priority issues and help NTIA effectively leverage its resources and expertise to address those issues. Comments are due on or before 5 p.m. Eastern Time on July 2, 2018. “Any endeavor has unintended consequences. Any ill-conceived endeavor has more”--The Law of Unintended Consequences | fs.blog (emphasis and link added). Editor's note: as I have noted before: "This is what happens when you design and implement a new gTLDs program founded upon consumer fraud, a .BRAND extortion racket, exploitative pricing power and greed, and ICANN incompetence." Don't whine and complain about "internet fragmentation" if you are (or have been) in a leadership position at ICANN. The worst fragmenting of the internet in its entire history, began with ICANN's irresponsible expansion of TLDs (top-level domains)--more than 1,250 TLDs beginning in 2014, on top of the then existing 22 gTLDs and less than 300 ccTLDs (one 2-character country code for each "country" as primarily determined by ISO 3166--see RFC 1591). Going forward, there is no way ICANN can responsibly police, by contract or otherwise, the more than 1250+ TLDs it has inflicted upon the global internet community. For a moment, forget about the EU & GDPR, NTIA, INTA and the trademark lawyers that ICANN org is in bed with, do you really think law enforcement agencies throughout the world (almost 200 nations) are going to willingly pay and pick up the costs of policing ICANN's malfeasance, without asserting their sovereign authority and imposing their own controls, jointly, or individually as China is already doing? Ask India's Prime Minister Narendra Modi and President Xi Jinping of China what they think. If you think it doesn't matter what India and China (and all the other non-Western nations) think, you may be as clueless as ICANN. EPDP--Transcript (pdf) & Chat Transcript (pdf) of GNSO Council meeting June 5 with the ICANN Board to discuss next steps following the ICANN's Board adoption of the temporary specification. Stephanie Perrin: the temp spec is an attempt to comply with law. There has been no admission that existing instruments have not complied with law for quite a few years now. I am not optimistic about our chances for clarity in scope if we cannot get a clear picture of which practices enmeshed in contract and policy are not in compliance with law. 6 June 2018 Letter from Akram Atallah [ICANN] to Graeme Bunton (pdf) re ICANN Across Field Address Validation and Privacy & Proxy Services Accreditation Implementation pause. Data Protection/Privacy Update: ICANN’s GDPR Efforts with Temporary Specification Now in Effect | ICANN.org 05 Jun 2018. Editor's note: if you think there was a "lack of clarity" in the German Court ruling rejecting ICANN's request for an injunction against German domain name registrar EPAG, then read what knowledgeable, competent lawyers in the subject matter are saying, see e.g., ICANN loses data-gathering court battle | out-law.com including remarks by Ann Henry, an expert in data protection and intellectual property law at Pinsent Masons, the law firm behind Out-Law.com. See also 'Data controller' concept expanded by EU court ruling | out-law.com 5 June 2018. ICANN62 Panama City, Panama, is June 25-28, 2018. Pre-ICANN62 90 minute Policy Webinar 12 June 2018 | ICANN.org: Pre-ICANN62 Policy Webinar Tuesday, 12 June 2018 at 10:00 UTC and at 19:00 UTC. The webinar will run in English with simultaneous Spanish interpretation. The presentation materials will be translated into Spanish, and posted following the Webinar with the recordings of the sessions here. Register via this form by 11 June 2018. Register for the Pre-ICANN62 GNSO Policy Webinar | Generic Names Supporting Organization: Monday, 18 June 2018, 21:00 UTC – 22:30 UTC. Pre-register here. "Remote participation details will be sent the week of 11 June 2018 upon RSVP." More info at link above. f. Second Security, Stability, and Resiliency of the DNS Review (SSR2)--Official restart of the SSR2 5 June 2018--for background see News Review Dec 17, 2017: US Gov NTIA Rebukes ICANN Board of Directors over its interference with SSR2 (re: the ICANN Board's unprecedented and unilateral action of suspending the work of SSR2 Review Team on October 28, 2017). b. FYI: TucowsDomains.com | Tiered Access (Gated Whois): see also tieredaccess.com. c. Google Taking action against scammers | blog.google: "... We’ve created a new tool that lets business owners report scammy practices and policy violations, and provide the specific information needed for us to take action against these third parties ... a few things you can do immediately to protect yourself: Verify whether someone is actually reaching out from Google. Often these fraudulent callers will use language like, “Google specialist” or “calling about or on behalf of Google.” To verify whether a caller is actually calling from Google, you can ask that they send you an email from a Google email account to further verify their identity. Anyone who works for Google should be able to send you an email from an @google.com email account. The Google Safety Center outlines additional tips ... There's no way to request or pay for a better local ranking on Google. Any company that claims to be able to do so may be running a scam. If you get an unwanted robocall, hang up the phone. Do not press any key, even if the voice recording prompts you to in order to speak with a live person or to be taken off the call list. Report unwanted callers to Google, and also the FTC or the FCC. Register your personal number with the [in the U.S.] National Do Not Call Registry (1-888-382-1222) ..."
a. Google is a GDPR Winner!--Google is emerging as an early winner from Europe’s new data privacy law reports WSJ.com. Early data shows the digital ad giant is gathering individuals’ consent for targeted ads at far higher rates than other competing online-ad services. b. EU: Article 13 could "destroy the internet as we know it": What is it, why is it controversial and what will it mean for memes? | Alphr.com: "Critics of the proposed EU directive on copyright warn that it could censor internet users." d. Best cheap VPNs: Nord, PIA, IPVanish, and more | mashable.com and Best VPN for India | AndroidAuthority.com. e. IGF 2018 Call for Open Forums | Internet Governance Forum | intgovforum.org: "The IGF Secretariat is now accepting requests to hold Open Forums at the 13th IGF, until a deadline of Friday 29 June 2018, 23:59 UTC. All Governments, treaty-based international organizations, and global organizations with international scope and presence, with operations across regions, dealing with Internet governance-related issues, are invited to submit requests for an Open Forum slot through this e-form. The inclusion of a background paper with the request is strongly encouraged. Open Forums should focus on a Government or organization’s IG-pertinent activities during the past year and allow sufficient time for questions and discussions. The standard duration for the session is 60 minutes. Governments and treaty-based international organizations will be given slots on a priority basis." 4. Amazon, Apple, Facebook, Google - Fifth Horseman Spotify $SPOT?